So here we go again, folks. People are pissed that their iPhones batteries are non-replaceable… and the pissed people are suing. Isn’t this deja vu all over again? Didn’t the same sort of thing happen with the ipod? Didn’t people get completely pissed about the idea of such an expensive battery replacement, only for Apple to eventually lower the cost, settle the class action, and play the damage control game that they’re so good at? But now that I think about it, isn’t this the same thing that happens time and time again, thanks to the proprietary nature of Apple and their products? And yet isn’t it the same apologists who defend Apple in the aftermath, saying how it was just a misunderstanding by Apple, that they trust them overall as a company, and how in the larger view, Apple is really getting much better about open specifications? Part of it doesn’t suprise me, though, given Apple has teamed up with AT&T for the iPhone. In fact, it only makes sense. The mobile phone market, at least in the US, is a veritable corporate police state, one backed time and time again by the full faith of the Federal government, with each provider doing everything it can to assure that you don’t use an unauthorised phone on their network. And if you do use an authorised one? Well, then, thou shalt not piss in the face of God, for lo, he is benevolent but quick to anger. Years ago, prior to Ma Bell grudgingly allowing third-party phones onto their copper, you had to rent them. And yet here we are again, well into the the twenty-first century, doomed to repeat history. Before I go any further, have I mentioned before just how happy I am that a Trader Joe’s opened up down here? Oh, I have? Sorry about that. The only thing that would thrill me more would be a Wegmans. Anyway, so although we have always liked TJs, it has now become one of our staple stops. Considering that a gallon of milk is $2.99, and bananas are 49c/lb — vis a vis 3.79 and 52c at Super Target — TJs has definitely moved into our radar as a necessity. So there we were, the grocery list says we need to buy bread. Well, while she’s not so shameful to like that glue-like substance called Wonderbread, the wife is still pretty much your average “normal” loaf of bread type. I can’t fault her too much — it works in a pinch, I guess, and she’s doesn’t really eat a whole lot of bread in the first place. I, on the other hand, want real bread. It’s one of those things that has to be “quality” for me (I’ll weblog that list eventually). We get her loaf, and then the Tuscan Pane catches my eye. Seems like a good choice — and one confirmed by another couple who pick up not one, but two, loaves. Long story short, a few purchases later, we were out the door, and I decided to try my hand at some (very) basic, albeit gargantuan, crostini. As it turns out, this bread is perfect. Atop the tomatoes, put probably about two medallions ea. of mozarella, depending on the size of the slice of bread. Sprinkle with copious amounts of italian spices and, if so desired, parmesan cheese. Bake in your toaster oven for 10 minutes @ 450 – although they’d probably be better toasted, or maybe baked in the oven on a pizza stone. Slice in half and serve. Once again, I don’t suggest that this recipe is anything fancy. Far from it, you can probably improve upon it in a great way. But I will reiterate that, as far as pre-sliced, store-bought bread goes, this stuff is ideal for making some terrific snacks. A few weeks back, I installed Amarok on my home desktop, and thought it was a pretty nifty program — this, despite being a “dreaded KDE application”. Maybe it planted a seed in my head. So today, something — I can’t remember what — made me decide to check out KDE again. Last time I used it was about 3 years ago, when I ran it on a lab machine because Gnome was too CPU-intensive for this hunk o’ junk. I really couldn’t stand it too much, but at that point KDE was the easiest to configure and was better than nothing at all. In any case, I’ve configured my laptop to use KDE, and after a little bit of growing pain, I think… I really like it! It’s fast, slick, intuitive and stuff seems to work (so far). Thunderbird and Firefox, because I’m not a KDE zealot, and I like those apps. Of course, doing so means one should install gtk-qt-engine so that the fonts and stuff used by these (and other) GTK apps match your font selections in KDE reasonably well. add a shell script for nm-applet to the ~/.kde/Autostart directory because I also like the Gnome NetworkManager applet. … maybe more things later, I’ll continue to update this entry. 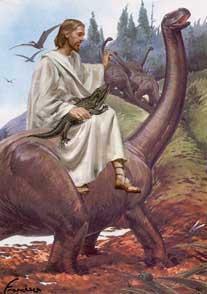 That’s what happens when ‘dinosaurs’ are ‘Jesus Horses’. Let’s look back at this sad, sad tale published in the WSJ. I guess, then, it’s no surprise that the brilliant minds at the FCC have stated that a closed-source, security through obscurity model is more secure than open source, concerning data transmissions. The Commission hereby states that it is its policy, consistent with the intent of Cognitive Radio Report and Order and Cisco’s request, that manufacturers should not intentionally make the distinctive elements that implement that manufacturer’s particular security measures in a software defined radio public, if doing so would increase the risk that these security measures could be defeated or otherwise circumvented to allow operation of the radio in a manner that violates the Commission’s rules. A system that is wholly dependent on open source elements will have a high burden to demonstrate that it is sufficiently secure to warrant authorization as a software defined radio. Well, I’m guessing they’re pretty new, since I can’t find much online, and certainly didn’t find any reviews here and since The Chippie seems to be out of commission, I thought I’d give a ten-cent review for a pretty tasty chip you can find at Target: the Archer Farms Maui Onion kettle chips. Generally speaking, I’ve been pretty satisfied with most of the store brand (Archer Farms) chips put out by Target. These are quickly moving up on my list, however, As they are pretty darn great. They’re crisp and thick like a kettle chip, with a little bit of that Funyuns pizazz. Well, maybe that last bit won’t interest you, so I’ll clarify: If you have a seething hatred for Funyuns, then you’ll probably won’t like this product. But otherwise you may be impressed by these chips. They do pack quite a punch of flavour, so you’ll probably want to wash them down with a soda or a beer, or something. But one discovery I did make is that these chips are an even better complement to ro-tel dip. Maybe not too orthodox, and perhaps even bordering on heresy, for those of us who who grew up with Fritos, or at very least a traditional corn chip, to accompany our processed cheese(like) dip, but honestly, this is a fantastic variation on the old theme. Just hoping Target decides to keep this product on the shelves… they have the tendency to introduce a bunch of different flavoured chips only to phase them out a few months later. These are a winner, if you ask me. Perhaps Joe will be able to work them into his fitness routine. And for what it’s worth, sorry for the headline, but “Maui Wowie” would’ve been too blindingly obvious. Quite sometime back, I wrote this (somewhat opinionated) little snippet about trying to find a new church home. I did actually visit Kirk of Kildare, linked therein, as they were the only church in the area which had a twilight Christmas service. Found it halfway decent and considered doing a transfer of membership there. It’s slightly out of the way, though — very slightly — and it’s a pretty big church. Just really hadn’t decided one way or another, much less had I ever gone back. However, I did note, one day, that another I had never mentioned or heard about before, Cornerstone, was in the process of constructing a new building. I kept an eye out, and as it turns out, they started services in the building a couple months ago. Actually, they had been meeting in a school just down the road from us, prior to that, unbeknownst to me. Anyway, long story short, some of you will be happy to know that I think I’ve found a new church home. Fairly small congregation and a nice mix of ages, it’s a real dynamic group. The theological bent seems to be reasonably moderate, at least currently1. While I haven’t yet seen the socio-political/social gospel stuff that I have come to admire, but it’s early yet, we’ll see. At very least, I think there will be some opportunity to lead. More importantly, however, there will be the opportunity to congregate.